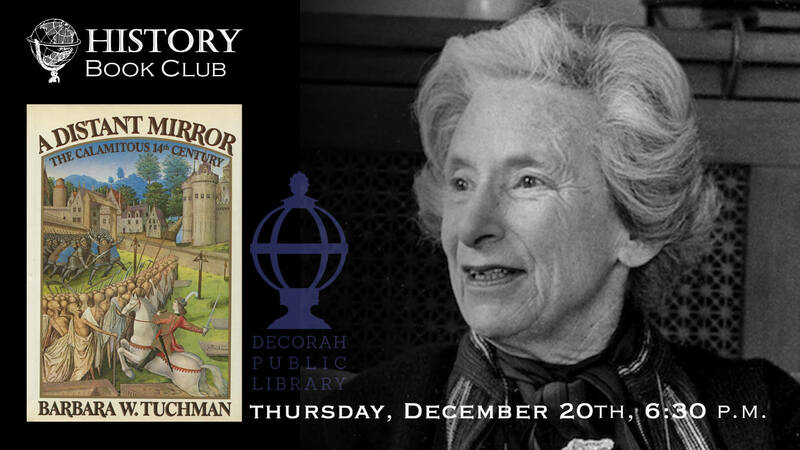 The History Book Group will continue their discussion of Barbara Tuchman’s “A Distant Mirror” at 6:30 p.m. Thurs. Jan. 17th on the 2nd floor of the library. The fourteenth century reflects two contradictory images: on the one hand, a glittering age of crusades, cathedrals, and chivalry; on the other, a world plunged into chaos and spiritual agony. Barbara Tuchman examines not only the rhythms of history but the texture of domestic life in this time: what childhood was like, what marriage meant, and how money, taxes, and war dominated the lives of serf, noble, and clergy alike.